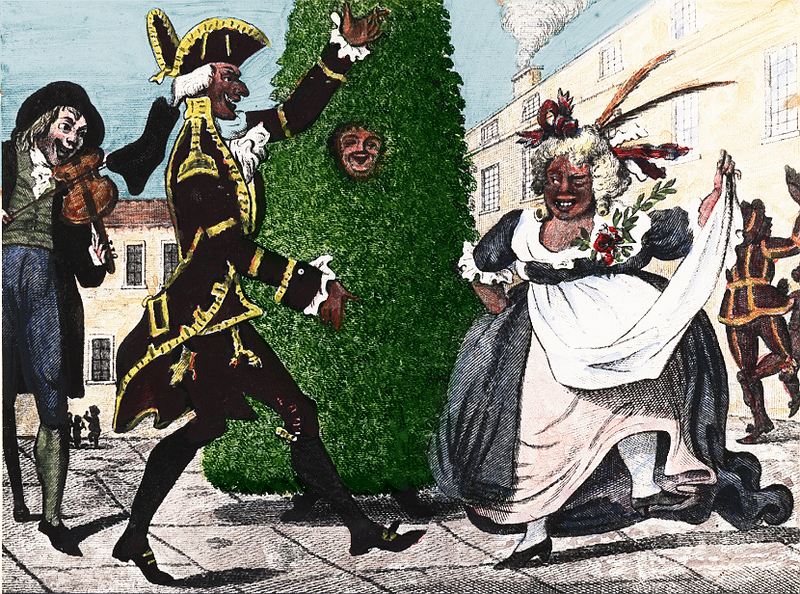 I’m pleased to announce that the Guildford Bush or Jack in the Green was spotted out and about on the streets of Guildford on Saturday 29th April. My thanks to Helena for allowing me to reproduce these pictures. Known as The Guildford Bush, this Jack was revived by the Pilgrim Morris Men in 1979 and is built from Laurel. For many years the Jack was carried by folklorist George Frampton. The parade commences at 10:30 outside The Star on the High Street. 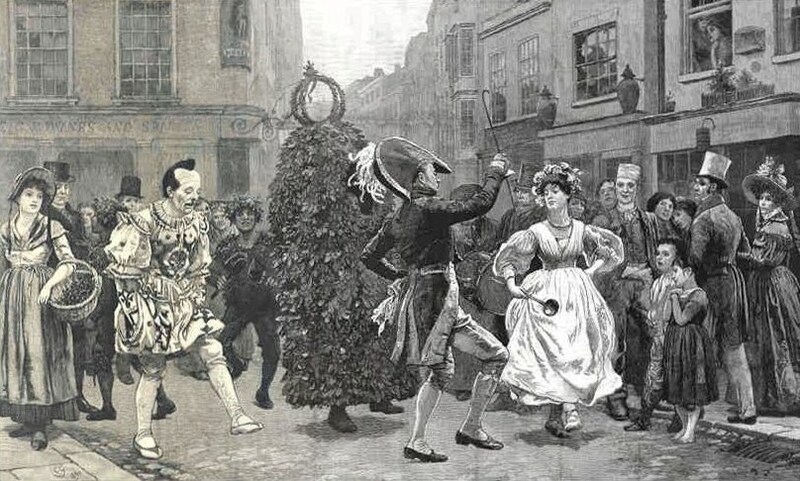 The Jack processes with the Pilgrim Morris Men to Castle Green where the Maypole is erected and the dancing involving guest Morris sides begins. 2016 marked the 40th Summerpole. 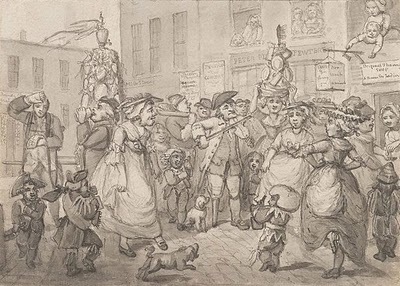 Yesterday there was scarcely any room in London for that ingenious class of persons who, under the general designation of “Sweeps,” contrive to make a holiday of the first of May, and to levy contributions on the public. 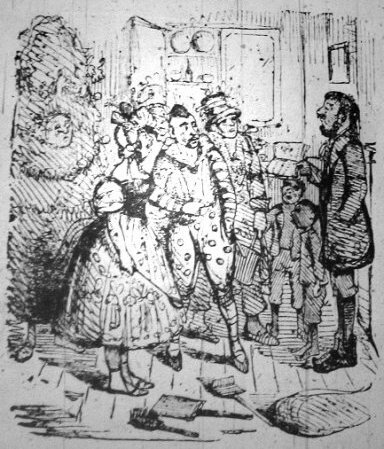 Chimney sweeping by machinery was a sad blow to the festivities of May-day, and although there were yesterday some specimens of Jack-in-the-Green, with his attendant satellites, they were, as a rule, only to be found in retired districts which formed no part of the road to the Great Exhibition, and were but very feeble representatives of the sweeps of bygone years. 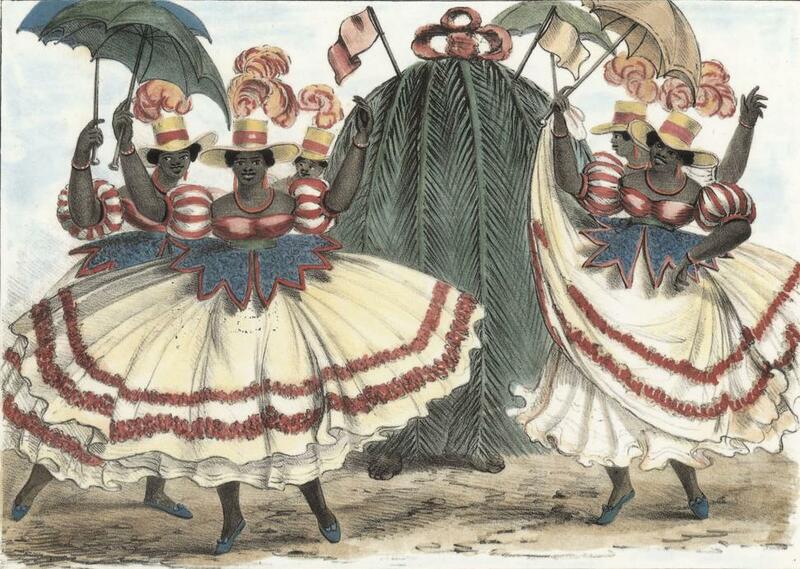 In the neighbourhood of Brompton and Kensington a few appeared but the thoughts of the people seemed bent on the Exhibition, and the sooty fraternity – always, by the way scrupulously clean on May-day – seemed to meet with very little encouragement. Many foreigners who came into contact with the moveable Jacks-in-the-Green, appeared to be profoundly astonished at the wonderful system by which such apparently lifeless bodies could have had such wonderful activity imparted to them, and upon the principle of Omne ignotum pro magnifico, rewarded to some extent the ladies and gentlemen who politely extended the familiar long-handed spoons, in which they are accustomed to receive their favours. Jack is supposed to have three days’ holiday at this time of year, and it might be hoped for his sake, that as to-day and to-morrow will be less exciting days than this has been, he may reap a bountiful harvest before the week has drawn to a close. About ten o’clock yesterday morning a very frightful accident occurred in the Blackfriars-road. 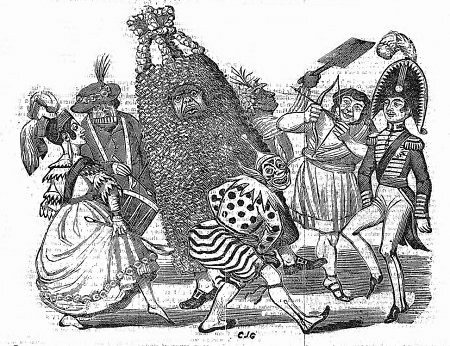 A group of May-day sweeps, decorated with ribbons, accompanied by what is called “Jack in the Green” and drums, were performing their grotesque capers in the road, when suddenly the horses of a Gentleman’s carriage near them started and plunged into the crowd, unfortunately knocking down a little sweep and the man called “Jack in the Green.” The affrighted horses were, almost in a minute after, stopped, but, unhappily, the unfortunate boy was so dreadfully injured by the wheels passing over him, that he died instantly, and was removed into a public-house. 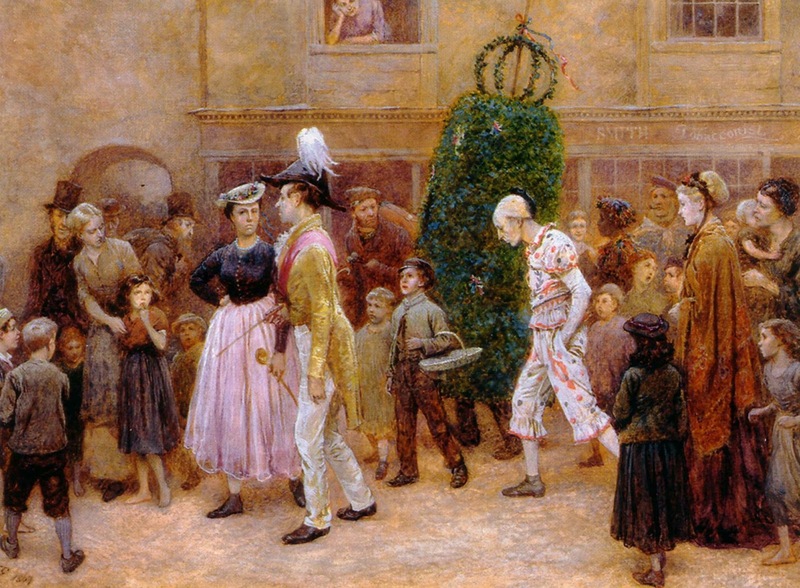 The “Jack in the Green” was severely bruised , and being extricated from his drapery, was carried to the Hospital. The Morning Post, 2 May 1828, page 3.